What can patients see on your reception desk? 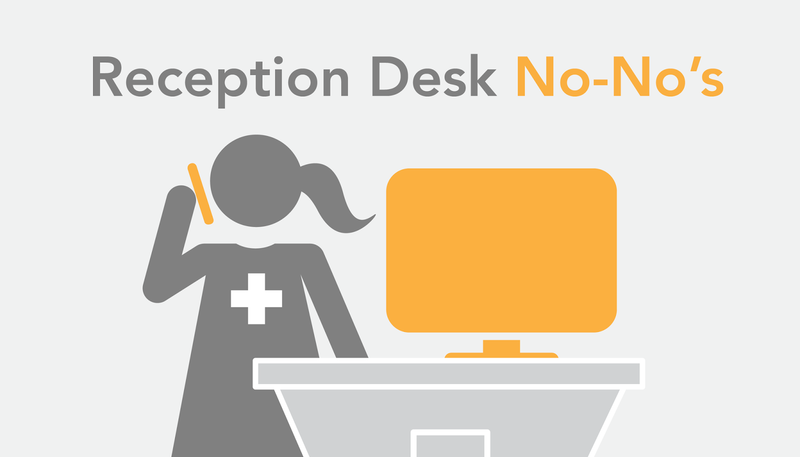 Your reception desk might be one of the most vulnerable locations in your entire organization. Why? Every patient you treat walks up to the reception desk and discusses their visit with the receptionist for at least a minute or two. What do they see when their eyes wander around that reception desk? What do they hear? What can they grab? Take a photo of? Check out this video for a 90-second summary of this reception desk HIPAA problem. Each situation I described above is either a HIPAA Privacy Rule or HIPAA Security Rule violation. All it takes is one patient or workforce member to report a single one of those violations and get you on the Office for Civil Rights’ (OCR) audit radar. Even worse, what if someone with malicious intentions saw your Wi-Fi password so conveniently displayed on your desk, and decided to hack in and steal patient data? Do you have the technical measures in place to know if this has happened, or is happening? Receptionists have tried to convince me that as long as the information is upside down to the patient, it’s not a HIPAA violation. That is false, and truthfully ridiculous. A quick picture of that upside down patient data can quickly be turned right side up, or even snatched right off the desk. You can do a lot to mitigate the risk that your reception desk fosters, but the most important is employee training. Receptionists, doctors, and nurses won’t leave patient information in plain view on reception desks if they have extensive training explaining why. 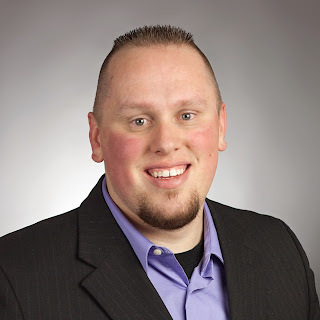 I truly believe that healthcare professionals care about the data that they are working with, but I don’t think that they understand how they impact the security of that sensitive data. Here are some more ideas that will help you keep your reception desk free and clear. Stand where your customers check in, walk the path they walk, and see if you can see any sensitive information, in any form. Pull out your phone, put in on the desk. What can you take photos of? I always recommend that you have a no phone policy at the front desk policy. Many HIPAA impermissible disclosures are related to human error, and occur by accident. However, that also means most instances are avoidable. 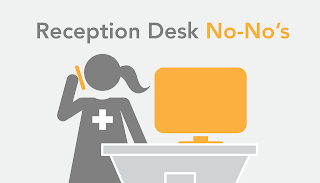 With the right procedures and training in place, you should be able to make sure your reception desk area is violation-free and HIPAA compliant.